Whether you’re an absolute beginner or an expert backcountry skier, preparing for your winter trip will help you make the most of it. Veteran skier and regular Outsider contributor Catherine Murphy offers you her top tips to get you going. Lift pass: An electronic pass, usually kept in a pocket in the left sleeve of your ski jacket, which gives you automatic access to chair lifts/gondolas/cable cars. Lose it, and you enter a world of pain, so always keep it in a zipped pocket and always keep the receipt separate to the pass. Beginner/nursery slope: A virtually flat slope where you get used to the sensation of standing and moving on skis or a snowboard. Traditionally, skiers side-step back up the slope or take a drag lift, but, increasingly, resorts offer travelators (moving carpets) to bring you to the top of the slope without too much effort. Drag/button lift: A button-shaped apparatus that is placed between your legs and pulls you up the slope. Believe us when we say you will never forget your first drag lift/travelator experiences – especially if you’re on a snowboard! Snow plough: Also known as the pizza slice in Italy, the snow plough is the first move you will ever learn as a skier and will remain a lifelong friend, no matter how advanced your technique becomes. Après -ski: We’re not sure who came up with the notion that skiing and alcohol are a good combination, but après-ski remains a central aspect to most ski holidays. Think Euro pop and schnapps in Austria; Aperol spritz and promenading in Italy; live music, Genepi and club vibes in France. For beginners, that means a compact resort with a good reputation for ski instruction and plenty of gentle green runs, with a good selection of blue runs to progress on to. If you’re on holiday with friends who already know how to ski, pick a resort that has an easy meet-up on the mountain for lunch get-togethers and avoid resorts where you have to take buses to reach the slopes. Focus on choosing a resort that has a short airport transfer and non-ski activities or easy access to interesting cities in case you decide that skiing is not for you. 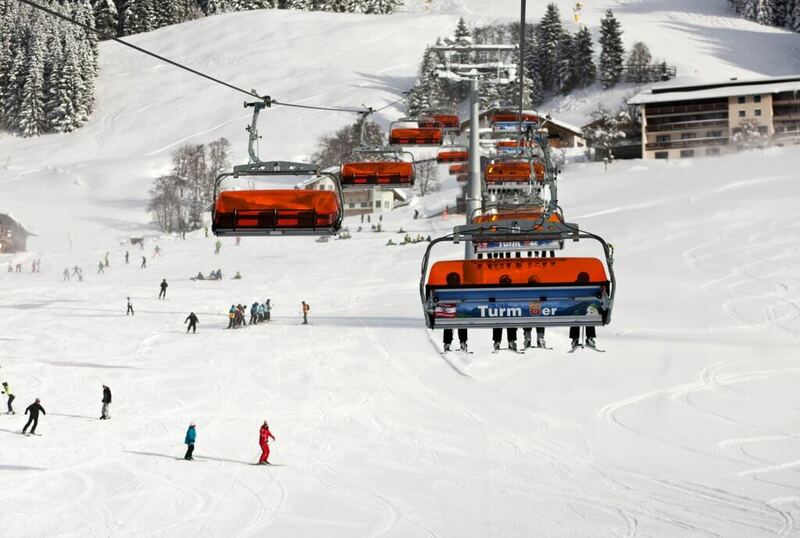 Beginner ski resort picks; Westendorf and Söll in Austria (Topflight.ie and DirectSki.com); Arinsal/Pal in Andorra (Topflight.ie and DirectSki.com); Morzine (CrystalSki.ie) or St Jean de Sixt in France; Sauze d’Oulx in Italy (CrystalSki.ie); Borovets/Bansko in Bulgaria. For intermediate to advanced groups, when it comes to picking a resort, our mantra is go high, above 1,800m, to guarantee snow for more advanced skiers. Choose large ski areas (over 250km) for skiers who have progressed to strong intermediate level and want to eat up plenty of miles on the mountain or perhaps dip a toe into off-piste. It’s not all about the number of kilometres though – it’s also about diverse terrain that offers great red pistes for high-speed blasting, steeper slopes to improve skill, and easily accessible side country or off-piste for joyful powder days. 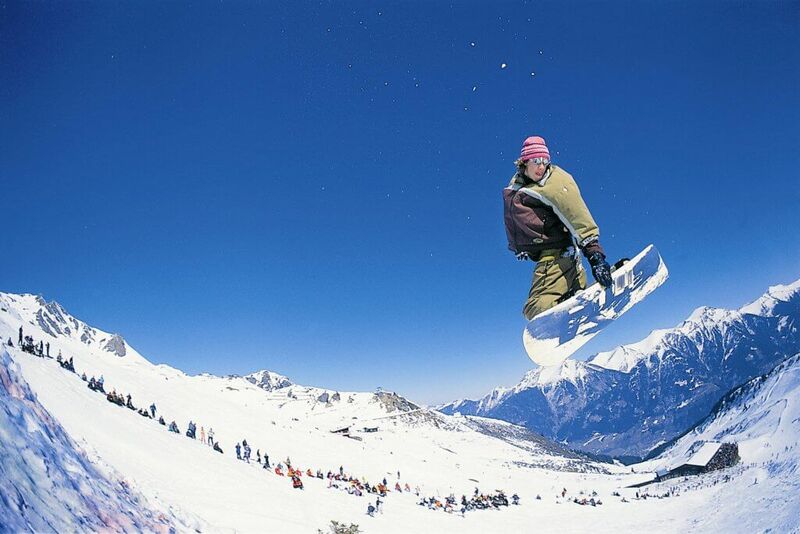 Intermediate to advanced ski resort picks; Val Thorens (Topflight.ie, DirectSki.com and Sunways/Club Med); Meribel (Sunways/Club Med, Topflight.ie and DirectSki.com); Alpe d’Huez (CrystalSki.ie); St Anton, (CrystalSki.ie); and Nendaz in Switzerland. Don’t buy skis or ski boots (ditto for snowboards) for your first ever winter holiday. Get a feel for whether you like the sport and learn a little bit about it before splashing out on equipment. When it comes to ski clothing, our golden rule for total beginners is to beg and borrow, preferably from friends who have wardrobes full of up-to-the-minute breathable, waterproof gear. While you might cringe that your friend’s neon one-piece ski suit makes you look like you’ve time-travelled from the 1990s, you can always pretend you’re being all retro ironic. And if you do have cash to splash, spend it on good ski goggles, gloves, sunglasses, a helmet and base layers. If you do buy a jacket, get a waterproof one that you’ll be able to wear at home too when it’s lashing and cold. Lots of jackets have detachable snow skirts. Many skiers end up either exhausted or injured by day three of their holiday because they’ve led sedentary lives all year and suddenly ramp up their activity levels on the mountain. Being fit before you go on holiday will make a vast difference to your enjoyment of it. Hiking, cycling up hills and spinning classes can all help kick-start your leg fitness. And, of course, taking ski lessons at home will get you used to the basics and help improve your fitness, while there are also ski-specific fitness options available. The Ski Centre in Sandyford, for example, boasts a ski gym with ski-specific classes focusing on balance, flexibility and endurance using free weights, treadmills with an incline and decline, Olympic bars, squat machines, balance balls and six ‘Skier’s Edge’ lateral conditioning machines which are used by the ski pros. Each machine has a different purpose so you can prep for carving, off-piste or racing. The centre also runs ski circuit training classes which are fun group sessions focussed on high-intensity interval training mixed with a bit of ski core and balance work. This helps look after those smaller muscles that you are more likely to pull (especially if you slightly older!). If you’re time poor but still need to do some serious work on your ski fitness, take a look at the Ski Fit App. For around €13 a year, it offers access to four one-hour workouts featuring 100 ski-specific exercises, or, for those who are even busier, an eight-minute work out that covers all the basics. Each workout focuses on balance, stretching, core muscles, power and alignment and has been devised in Chamonix by a physiotherapist used to working with top ski racers. This option is a good bet for those who are motivated to work out solo at home but perhaps not so good for those who need to be kicked into action. Just learning how to put ski boots on, click into skis and move around on them, will stand to you on your first ever holiday. Likewise, if you plan to snowboard, a lesson will teach you how to tighten your snowboarding boots and bind up, and figure out if you’re regular or goofy (leading with your right or left foot). And you’ll learn a whole lot more besides, meaning you won’t waste your first days faffing around learning the basics. For that pre-trip lesson, we highly recommend a jaunt to The Ski Centre, Sandyford, Co Dublin. You’ll learn in an hour there what might take your whole first day on the slopes. Open year-round, it offers Ireland’s only ‘revolving ski slope’ and promises to help you ski longer and stronger with simulated ski runs that focus on bullet-proof technique, whether you’re a total beginner or an expert racer. Skiers practise techniques on a moving slope (think large treadmill), facing a mirrored wall so that they can see themselves (and the mistakes they are making). There’s a maximum of three skiers per instructor to help you learn faster while off-piste skiers can aid technique and stamina by practising on the slope for up to 30 minutes non-stop. Ski classes cost from €245 for six classes per adult and the centre caters for all levels, as well as school groups, birthday parties, university groups and skiers with special needs. Its clientele ranges from 4 -84-year-olds. 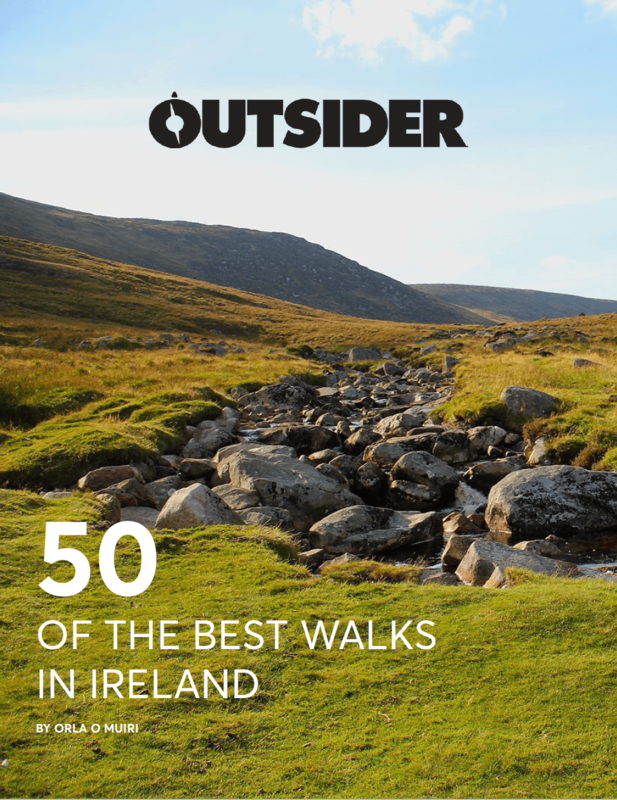 It’s easily accessible via the Luas. The Ski Club of Ireland, Kilternan, Co Dublin, also offers lessons. There’s nothing quite as life-affirming as the realisation that you will gladly go out in the dark, wind and rain in November just to get a pair of skis on your feet. The Ski Club has updated its facilities in recent years and now offers classes in ski, board, freestyle, racing and tubing with beginner, intermediate, advanced and master levels. The club re-opens on 12 September 2016 with lessons from 19 September. A single class costs €50 per adult while four classes cost €140. It’s also possible to have a practise session without instruction (€30 per adult). If you plan on skiing off-piste, even if it’s just side country next to the piste, you should always carry a backpack with transceiver, probe and shovel. It’s also worth carrying a second pair of goggles in case of powder wipe-outs. Practise using your safety equipment on a regular basis and check that the battery life of your transceiver is adequate. Just having the equipment without knowing how to use it won’t be any help if you find yourself in an avalanche situation, so practice is vital. More and more off-piste/big mountain skiers and boarders now carry ABS backpacks (airbag system which, when deployed, inflate to keep you above the snow in an avalanche). They’re still pricey, but the technology is beginning to move away from gas-cylinder-powered systems to rechargeable lithium battery (for example Black Diamond’s Jet Force series) so shop around before investing. Cash to splash or hoping not to break the bank? If you’re a total beginner, Bulgarian and Slovenian resorts are a strong bet as learn-to-ski packages and food/drink prices are simply cheaper on the ground. For intermediate skiers, Italy and Austria are (as a rule) cheaper than France and Switzerland, but even in those countries, it’s worth remembering that prices can vary quite a lot so it pays to suss out local knowledge and shop around. That €4 coffee at the top of the mountain in Chamonix might cost half the amount at the lift base. 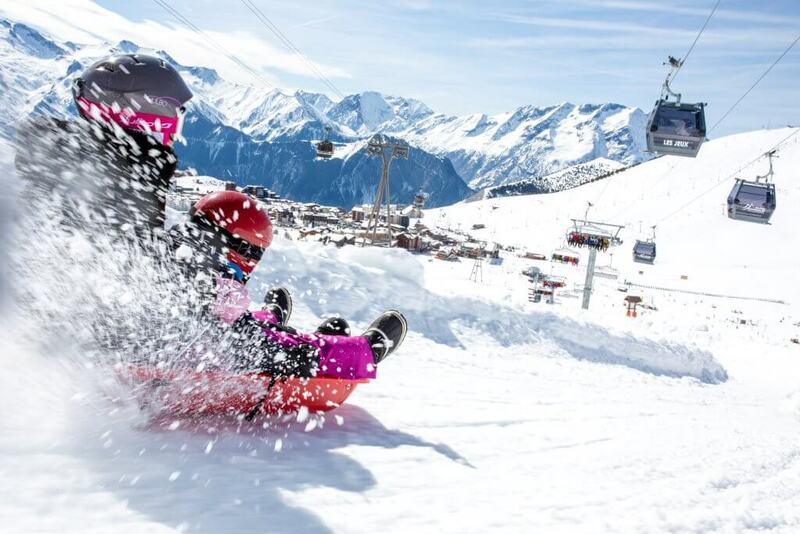 If you’re booking with a tour operator and travelling with family or friends who are tied to certain dates, it can be worth booking by late November to bag early bird offers or two-for-the-price-of-one lift pass deals. It’s also worth keeping a close eye on children’s package prices as they can differ between countries. Most resorts have family offers during certain parts of the season so look for them before booking. Whether you’re just starting out on your first holiday or are a ski veteran, the question of when to ski is becoming increasingly relevant. Over the past three years, some resorts have had poor starts to the season and others have continued to get fresh snow into May, prompting ski resort bosses to question if and how they can persuade people to ski later in the year. Keep an eye on the Snow Forecast or Weather to Ski for regular forecasts, previous resort snow levels and overviews, and remember that areas like the Ski Welt in Austria, the Dolomites in Italy and other some areas have excellent snow-making facilities. Beginner or expert, you will always get skiing on your winter holiday thanks to man-made snow.